The Littlest Passport seeks to be the top resource for parents of babies and toddlers who want to travel in comfort and style. When her daughter was a mere six weeks old, founder Brandi Sundby and her family took their first weekend getaway out of Brooklyn, NY. That was followed by their first flight at two months. As the plane rides, family visits and vacations accumulated, it became apparent that there was a hole in the market. It was difficult for Brandi to find accommodations, travel guides and reviews that catered to families with little ones - while ensuring that parents also got to recharge and re-engage with their passions and interests. Many travel publications would describe dream vacations that clashed with the reality of strollers, nap times, and limited attention spans. "Kid-friendly" vacation sites seemed to doom parents to two decades of Disneyland and waterslides. And few accommodations understood what parents would want and need for a relaxing space - bragging that they were kid friendly because of their "turtle sippy cup upon check-in", as if that was what parents needed! The Littlest Passport is for parents that want to show their littlest ones new cultures, fun adventures and unique activities - without neglecting the parent's desire for relaxation, gorgeous surroundings, bucket lists and a good night sleep. 1) Travel planning shouldn't be time-consuming or stressful for parents of young kids. We are parents of little ones - we know that the two things you don't have enough of in your life is time and relaxation. The Littlest Passport curates its content so that parents don't have to fall down the rabbit hole of pouring through endless travel review websites until 1am. 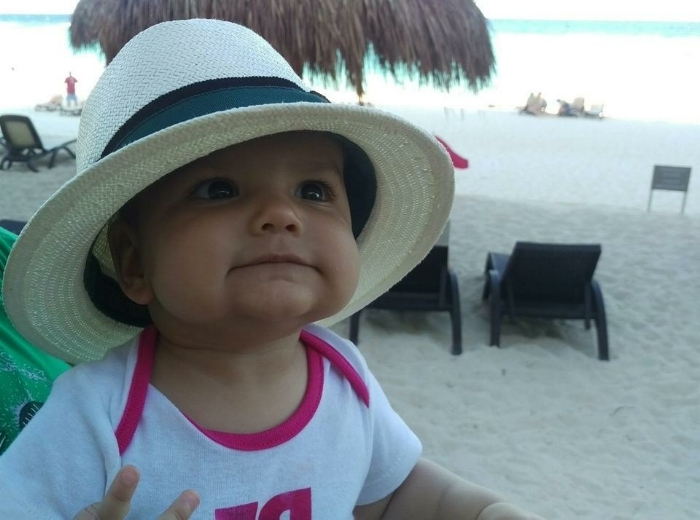 Rather than writing "click bait" articles that regurgitate press material from the travel industry, The Littlest Passport interviews parents that have travelled with their babies and toddlers. The reviews give a real glimpse into the pros and cons of travel destinations and accommodations - because nothing is more reassuring that a recommendation from another parent. 2) Your vacation will be much more relaxing if everyone gets a good night's sleep, and 3) the adults will have much more fun if it's not lights out at 8pm. Our accommodation reviews direct you to hotels with apartment style suites, balconies and terraces so that everyone can rest and relax at night. We also look for accommodations that provide cribs, kid friendly amenities, convenient locations and supportive staff. 4) Your bucket list didn't disappear just because you had a kid. We provide itineraries that balance the interests and needs of your little ones with you own interests - for example, a morning visit to a world-class museum and an amazing playground. 5) A relaxing pace is better for everyone. Itineraries can be fit into the hours between nap times, and provide tips on where to breastfeed, go potty, and which cafes have room for strollers. 6) Everything is better with a great cup of coffee or a cocktail. So our itineraries point you to the best cafes and patios with room for strollers. 7) It takes a village. We draw on an army of parents who have vacationed well with their babies and toddlers, and pass on their reviews, tips and tricks. We direct you to the best accommodations and travel partners we've found, and we will never let promotional consideration sway our advice. The Littlest Passport is here for its community of parents.